A Year’s Worth of Cupcakes! What’s better than a cupcake? Another cupcake! Enjoy a year’s worth of cupcakes with these 12 delicious cupcake recipes. Great for all kinds of holidays and occasions, these recipes are guaranteed crowd-pleasers and are perfect for helping you celebrate whatever season you happen to be in. 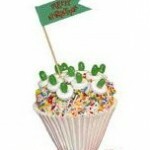 Baking cupcakes with your kids is a fun and creative way to use your imagination in the kitchen. 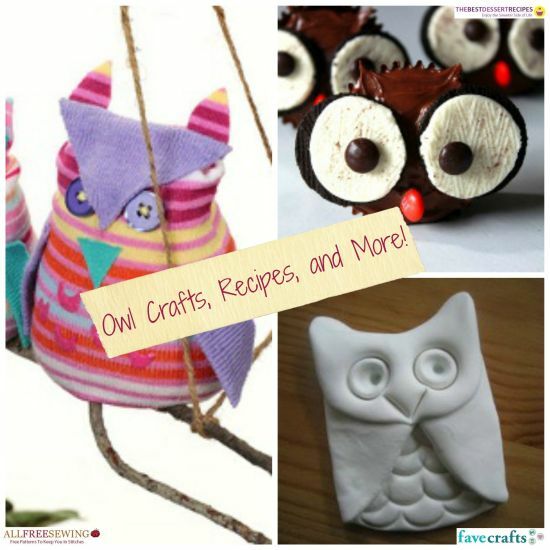 Kids will take such pleasure in seeing their creations come to life, and giving kids the freedom to create in the kitchen is a great segway into teaching kids about other types of crafting hobbies, such as clay crafts, decoupaging, mixed media art, and so much more! Even if you don’t have little helping hands, you can always use cupcakes as a creative canvas for expressing your own creativity. 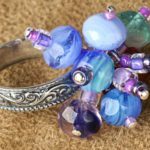 Adding coloring to frosting, creating your own edible embellishments and flowers, and turning everyday candies into amazing and artistic designs are tasks that can only improve your creative mind. And if you mess up, well, I guess you’ll just have to eat the evidence! 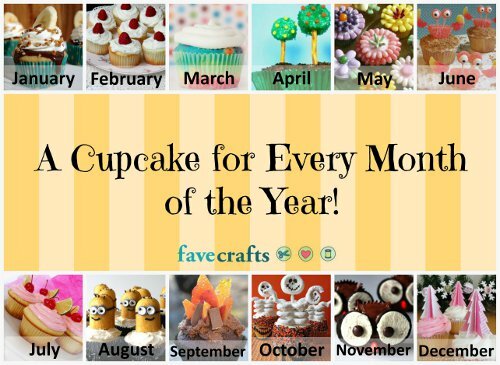 Baking and cake decorating are great creative outlets for anyone who likes to think outside the box, and with this collection of cupcakes, you’ll have creative inspiration all year long! Bonus! Want to learn how to create your own bakery-style cupcakes? 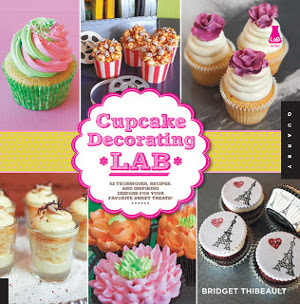 We’re giving away a copy of Cupcake Decorating Lab to one lucky winner! Scroll down for all the info, and find out how you can enter to win this book today! Have you always wanted to learn how to decorate your own cupcakes? Well, now you can! Enter now for your chance to win Cupcake Decorating Lab, filled with awesome tutorials and lessons on how to make your own frosting, decorate your cupcakes, and create bakery-level treats that kids and adults of all ages are sure to love and appreciate. 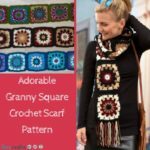 But you better hurry, the giveaway ends November 15th! Head on over to the giveaway page now and enter to win today! Good luck! 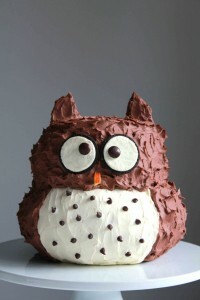 There are so many cool DIY cake topper ideas out there! You can go traditional and put a homemade bride and groom atop your cake, or you can get creative and use your initials, romantic hearts, or whimsical bunting. 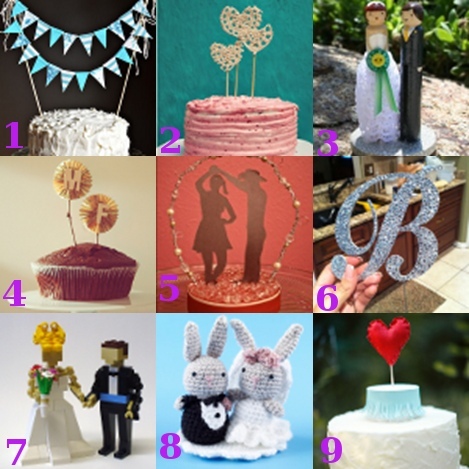 These cake toppers are all really cheap to make too! Which one’s your favorite? 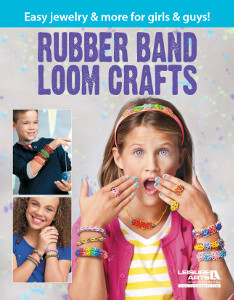 FaveCrafts 365 New Cupcake e-book to Download!!! What better day (since we are all Irish, right?) to make a BIG announcement. 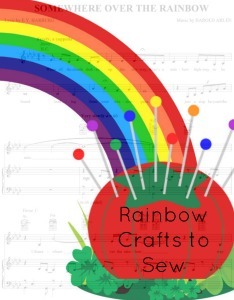 I am so excited to tell you about the wonderful new e-book from FaveCrafts.com! I helped put together over 30 delightful cupcake projects with Editor Linda and we just have to do a little bragging! 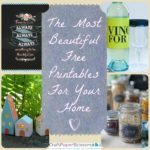 And not just bragging, but a GIVEAWAY! 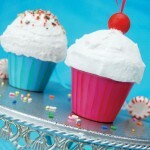 Check out the tasty 31 Cupcake Inspired Creations e-book today! 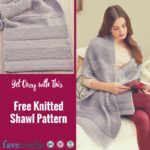 All FaveCrafts.com e-books are free and easy to download! Watch the video to see what you can win and how to enter! All you need to know is in the rolling credits at the end! Contest ends March 30, 2011. This punch is well made and can be used to make cupcakes out of all your paper scraps! You’ll have a blast with all the endless possibilities of putting together cupcakes. The punch stamps out the top of the cupcake and the bottom so you can mix and match combos instead of having a single cupcake shape punched. 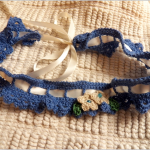 Contest ends February 4, 2011. 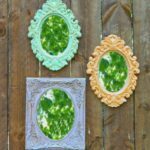 New Pattern Monday: Papercrafts Galore! I went to the store to buy a birthday card once and couldn’t believe how much they were charging for a boring card with a generic stock photo of a birthday cake on the front and some canned “sentiments” printed inside. Five bucks for a card? That’s more than I spent on the gift! Well, not really more, but close. 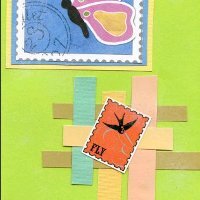 I’ve been making my own cards, invitations, and thank you notes since then, and you should too. Loose Weave Card: Try weaving with paper strips for an interesting, textured card. 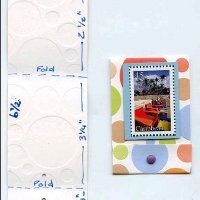 Matchbook Notepad: If you’re always jotting things down on the go, repurpose an old matchbook into a personalized notepad to keep in your purse. Cupcake Invitation: Capitalize on the cupcake trend by sending out sweet treat themed invitations to your next shindig. 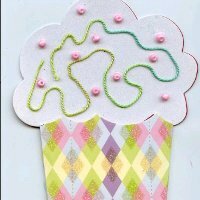 Try our other pretty paper crafts, from homemade gift bags to scrapbooking. I love cupcakes. I love their smell, their texture, the sugary frosting and unusual flavors. I really love the bite-sized nature of cupcakes and everything associated with them, from the holidays I consume them on to the act of actually baking cupcakes and making my kitchen smell like warm butter and vanilla. Wow. So naturally, when I walked into Anthropology the other day and came face to ruffle with an adorable cupcake apron I fell in love all over again. 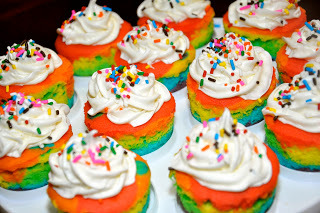 It was tiny and petite, just like cupcakes themselves, with colorful cupcakes decorating the apron. Unfortunately, not all of us have $30 to spare on cupcake aprons, so I had to sadly walk away. 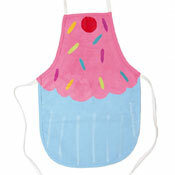 When I noticed the new Sprinkles Cupcake Apron on FaveCrafts today my mouth nearly popped right open! This is even cuter than the apron I saw in the store because it is actually in the shape of a cupcake. 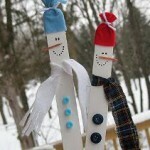 It’s fairly easy to make yourself, and you can wear it or use it to decorate the kitchen. 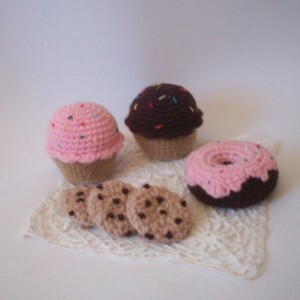 There are tons of other cupcake crafts out there. 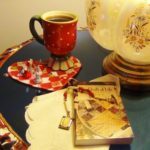 One of my favorite blogs, Cupcakes Take the Cake, often features cupcake crafts along with cupcake recipes and photos. How cute are these crafty cupcakes? 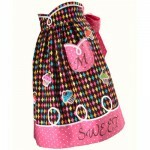 If you like the cupcake apron, click here for our 14 Favorite Free Apron Patterns. 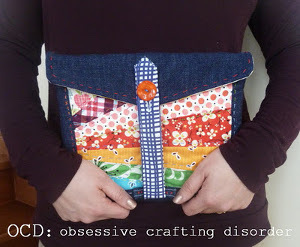 100+ Craft Tutorials to Kick Off National Craft Month!